DOCO® LOCO Heat Transfer Design Cat Harness and Leash Combo gives you gentle, comfortable control of your cat or kitten, while allowing cat to explore the world outside your door. 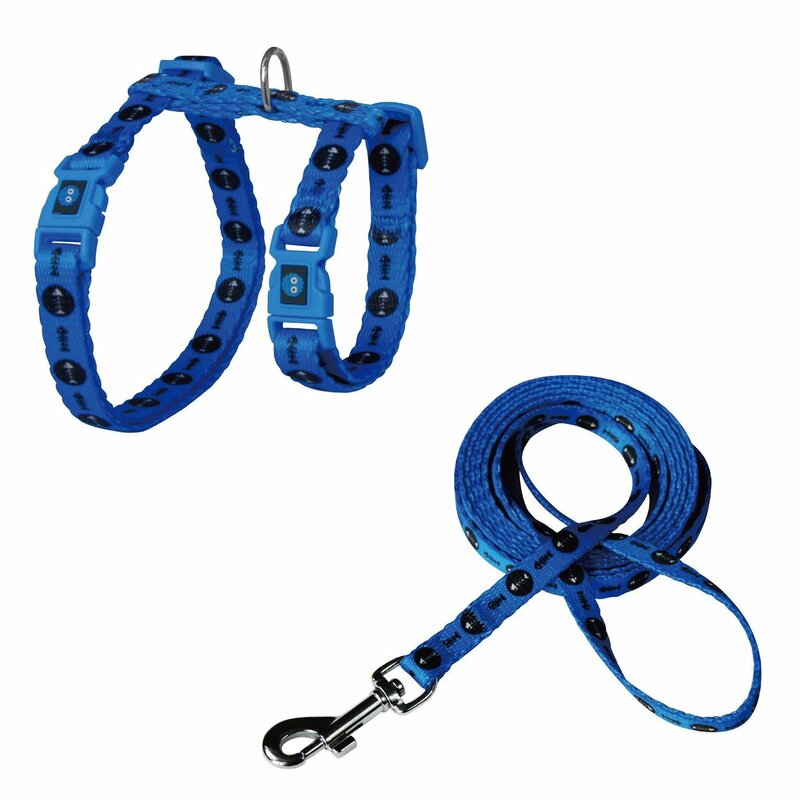 Well built design allows for a gentle pressure on the leash to cradle the cat, restraining any forward motion without putting pressure on the cat's delicate neck area. Constructed with adjustable tri-glide for custom fit for your cat's body type, while the dual adjustment points on the girth strap allow a snug, safe fit. Vibrant designs are easy to see and perfect to show off your cat's personality!